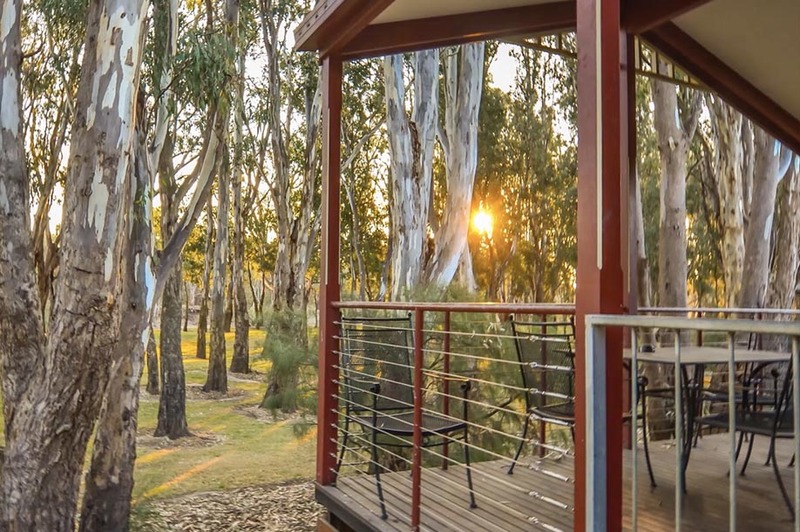 Enjoy fully self-contained holiday villas set on the NSW banks of a picturesque absolute Murray River location near Echuca in Victoria and Moama in New South Wales. Our aesthetically designed villas, and camp grounds are set amongst 20 acres of natural bushland with magnificent centuries old river gums for shade and nature based garden beds. You can enjoy the expansive lawn area that front your cabin and view the Murray River only 60 metres away from your private deck. Our Villas are well equipped and tastefully furnished and are your ‘Home away from Home’. They feature open plan kitchens and spacious living areas that lead to your front deck and have 1, 2, 3 or 4 bedrooms accommodating up to 13 guests. 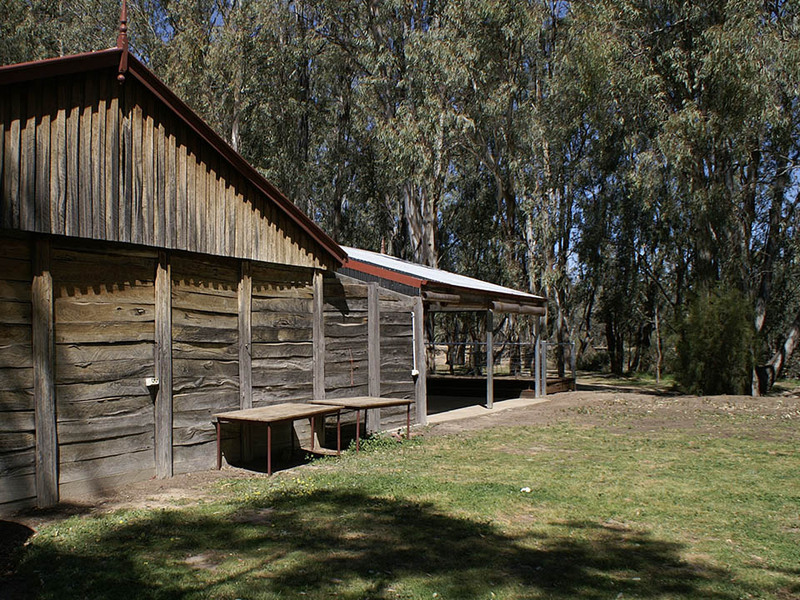 Located just 25 minutes from the historic Echuca-Moama region with its plethora of shops, restaurants & wineries and just 15 minutes from the Barmah National Park and wetlands – Morning Glory River Resort and Function Centre is perfectly situated for you to explore the many attractions and natural features the area has to offer. 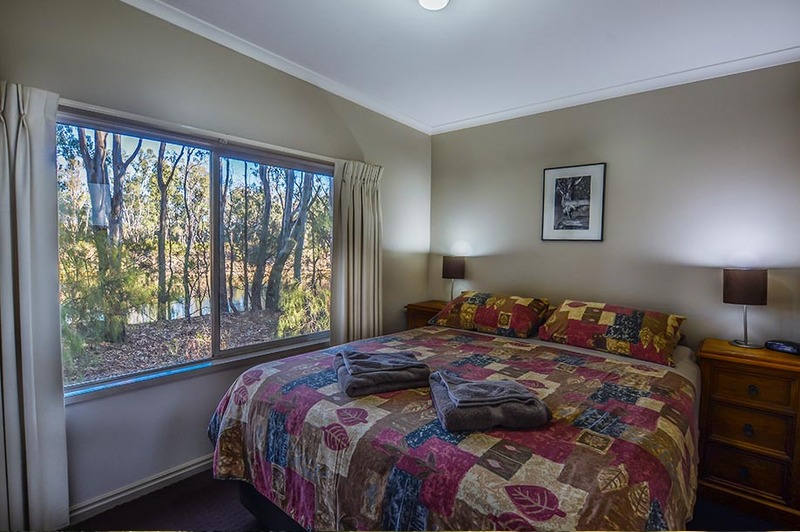 Alternatively – you may choose to RELAX… watch the river flow lazily by and enjoy the peaceful bushland setting. There are plenty of FREE Resort facilities to keep the young and ‘young at heart’ amused! Check out our solar heated swimming pool, plexipave tennis court, 2 holes of golf, 6 hole mini golf course, children’s playground, games room and sports oval. The private boat ramp & jetty cater for boating & fishing enthusiasts, whilst the push-bike and bushwalking tracks are perfect for nature lovers and those that love to exercise whilst on holiday. We even have our sandbar for you to soak up the sun’s rays and enjoy the warm white sand whilst enjoying a cool dip in the river or playing water games with your friends and family – all this at the one Resort, set along 3kms of private Murray River frontage. The family owned & operated Morning Glory River Resort & Function Centre offers you, your family (and your pooch!) a unique Murray River holiday experience. 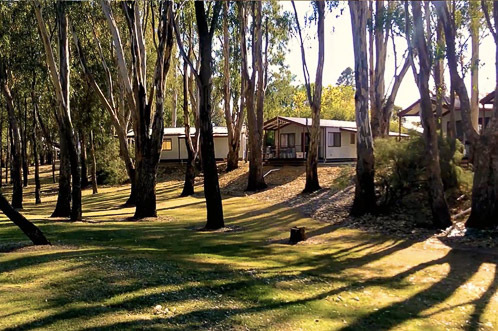 The Resort is only 3 hours north of Melbourne, under two hours from Bendigo and an hour from Shepparton, so it is the perfect overnight, weekend or week long destination to explore the natural beauty of the Murray River region and gateway to Barmah National Park. Our kiosk is open daily for your convenience and campfires are welcome in the provided fire pits during the cooler months. LOOKING FOR A LARGE, FULLY SELF CONTAINED VILLA ON THE MURRAY? A magnificent, 5 bedroom Villa with pool across the river from Morning Glory!